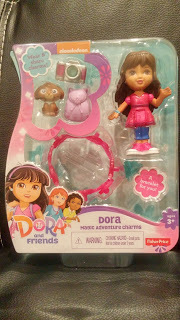 This week sees a whole week of Dora fun for me and my girls. The girls have been singing along to their favourite Nick Jr shows with Nick Jr sing along summer. Every day between 10am and 1pm join in the sing along fun. On Monday 27th at 11am we will be taking part in a twitter frenzy with @ukmumstv. Using the #DoraSingAlong we will be taking part in the activites in the hope to win prizes. You may have also seen my Facebook status about the karaoke booth that are appearing at selected Sky stands in shopping centres and Smyths Toy Superstores across the UK, giving your kids the chance to create videos of themselves singing along to the Dora and Friends: Into the City! theme tune. We are looking forward to visiting on Friday. The dolls are 8" tall and dressed in outfits from the show. 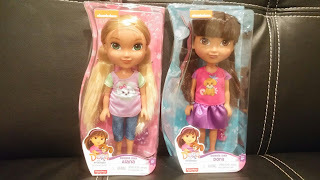 They have pose-able arms and soft hair. 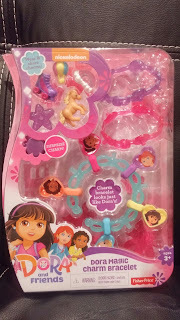 Each doll also comes with a charm which can be added to the charm bracelets. These are the perfect size for my girls and are now carried around as their babies. My youngest loves the little figures in the pack. The pack also contains a bracelet and three charms. This would make a lovely gift for any Dora fan. My eldest loves this charm bracelet. The pack contains 3 bracelets. 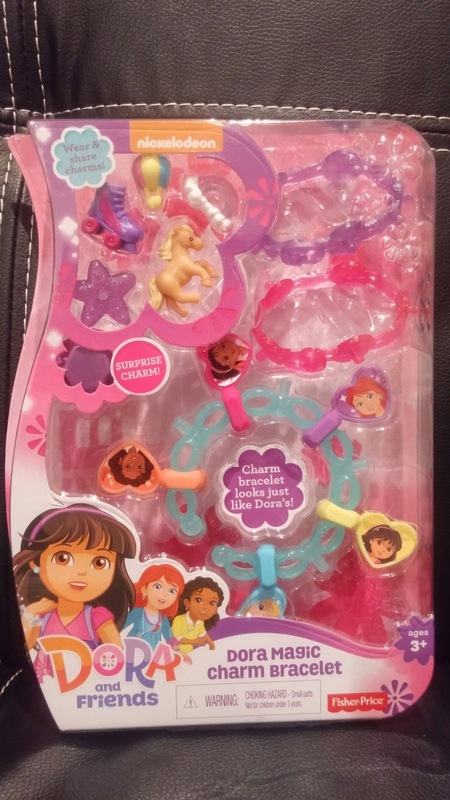 One of the bracelets has charms of Dora and her friends, then there are 6 additional charms which can be used on the remaining 2 bracelets. These bracelets can be shared with friends or in my eldest case one for Mummy and one for her sister. 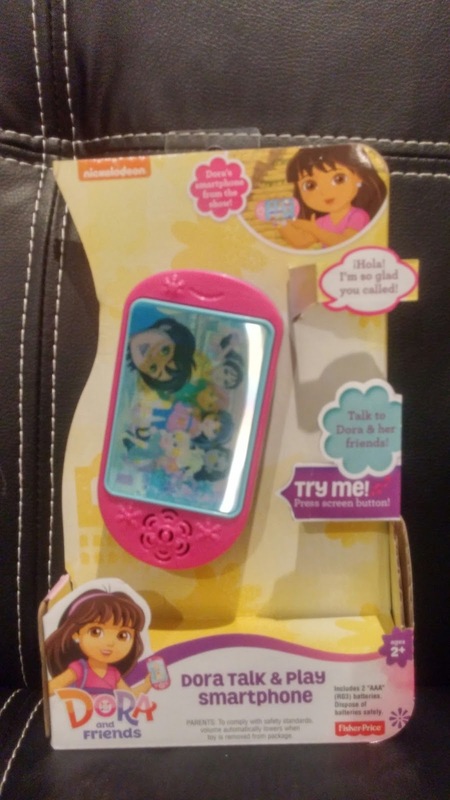 The smartphone is a replica of Dora's from the show. By pressing the screen you can hear ringtones, billingual phrases and songs. My youngest loves to pretend to take photos and check her emails or even to pretend to make phone calls. I hope you can join me for the twitter frenzy on the 27th at 1pm and you have fun in the Dora sing along booth!